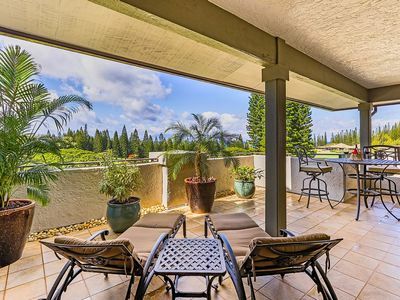 The beautiful pacific ocean is 50 ft away from your lanai! Listen to the waves and see the stunning views of Lana'i and the setting sun. During whale season, you can see whales all day long. 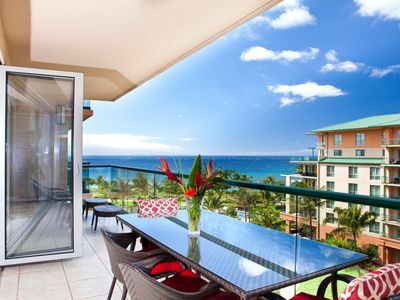 The condo itself is designed as something I would expect from an upscale Maui resort. So it's very well appointed and very comfortable. Including a new high end Sterns & Foster Estate King mattress! 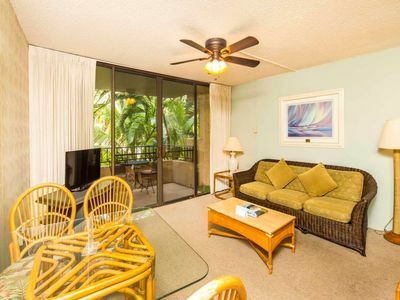 A vacation condo should feel like home and somewhere you look forward to returning to. I keep my calendar updated. If it says condo is available, it is. I know it's frustrating when you see an available condo and it's just due to folks not updating their calendars. My name is Jim Tierney and I recently purchased this condo. Since I'll be staying in it sometimes, this is not a normal rental unit where everything was done on the cheap! 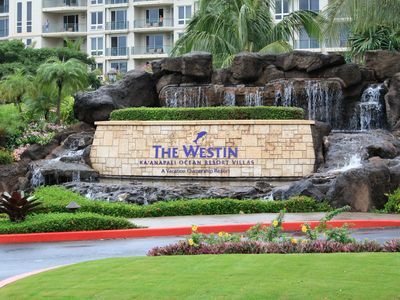 I love the Westin and their Heavenly Bed, so that was my target in creating the space (minus all the timeshare sales pitches :-). 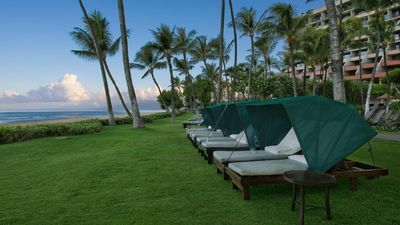 I figure there's two things people want from a Maui vacation... 1) to see and hear the ocean from their lanai and 2) to get some sleep. 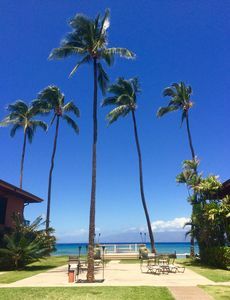 :-) As for the ocean, the condo is 50 feet away from the ocean so you can sit on the lanai and watch the waves crash on the beach 80 feet below you or the sun set over the wide pacific and disappear behind the island of Lana'i. When it comes to sleeping I'm pretty particular about the mattress I sleep on, so it was important to find a good mattress that rivaled what I expect from the Westin. I just got (December 2016) a new high end Sterns & Foster King Mattress. It's wrapped up in designer bedding and 600 thread count sheets. It's amazingly comfortable and I think you'll find it's wonderful to listen to the waves as you drift off to sleep. 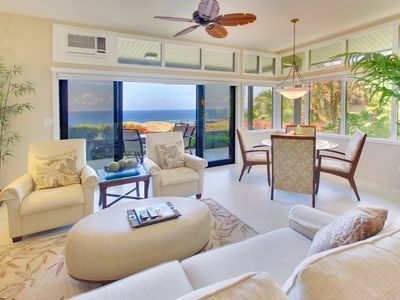 It's a wonderful, luxurious space that will give you everything you want from a Maui vacation. I look forward to having you experience it for yourself. 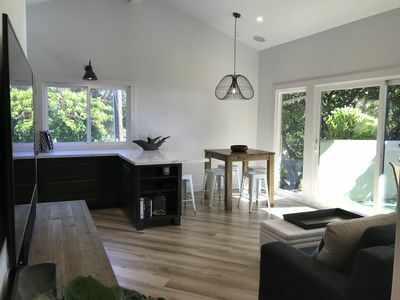 If you're into cooking, the kitchen has been completely remodeled with granite countertops and custom wood cabinets. You have all the cookware necessary for a complete meal and then some. 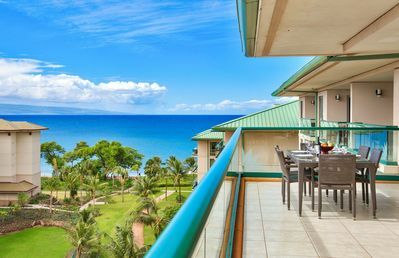 The dishes, glassware, and tableware are all beautiful and will make having dinner on the lanai at sunset feel like a 5 star restaurant. You are also a couple minutes away from a market that specializes in local and organic foods, if you're looking for fresh ingredients. There's also central air conditioner, which is not common in vacation rentals. Of course, there's the usual stuff, 40' flatscreen TV with DVD and cable, high speed internet with WiFi, speakers to plug an iPod into, hair dryer, small library of DVDs, and even a desk to write postcards on or check email (not that you'd be doing that on your vacation). There's also stuff like beach chairs, a boogie board, snorkel equipment, and beach towels. The couch becomes a full sized, memory foam sofa bed to accomodate kids or another adult. This IS a sofa bed. It's a nice one, but like all sofa beds it's not the paragon of comfort, especially for adults. 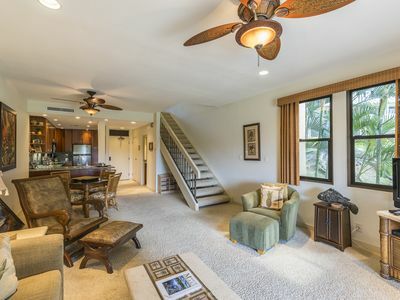 The complex is adjacent to a sandy beach (5 min. walk) which is great for swimming or just laying out. There's a grassy area directly in front with chaise lounges. You're one block from restaurants and shopping. 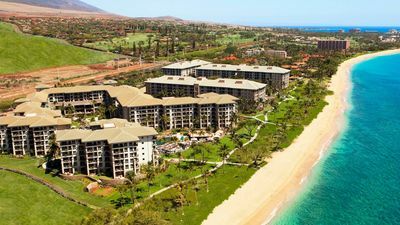 It's an excellent central location to go north to Kapalua/Honalua or south to Kaanapali, Lahaina town and the Lahaina Harbor. 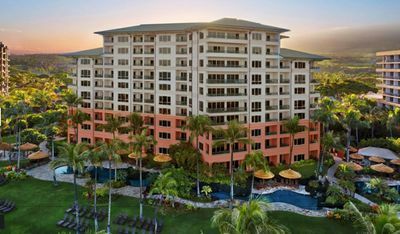 So if you're excited about staying at a wonderful condo, this is it! Some notes about the complex the condo is in... The pool is nice and well maintained. The fitness center is small, but decently equipped (and free). There's an activities desk to help you book stuff to do. (You can also ask me for recommendations). However, there are no water slides or pool boys bringing you drinks. 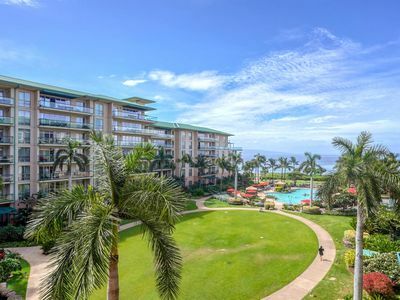 The condo is a beautiful space surrounded by all Maui has to offer but the resort complex is pretty basic. Also, they're putting in a temporary sea wall. The sea wall will be finished by 12/9/16. 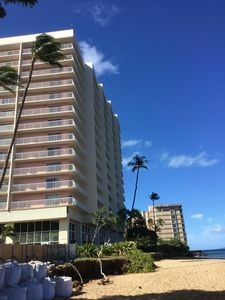 It shouldn't affect your stay at all, other than you might see some heavy machinery driving through the parking lot and see some yellow tape on the outskirts of the property. The condo and complex aren't affected, as the work is being done on the shoreline in front of the complex. As mentioned, it's a short, 5 minute walk to get to a sandy beach. Although most folks go to a beach with good snorkeling or good waves anyways, which is not Kahana Bay. 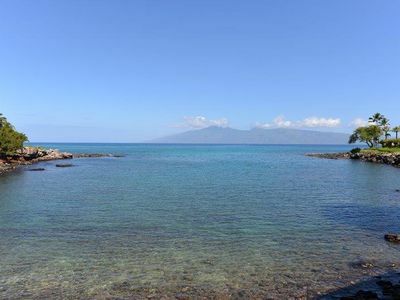 Black Rock beach or Honolua Bay have much better snorkeling and are 5-10 minutes drive away. Affordable Whaler Studio Condo with Great Ground Floor Location! 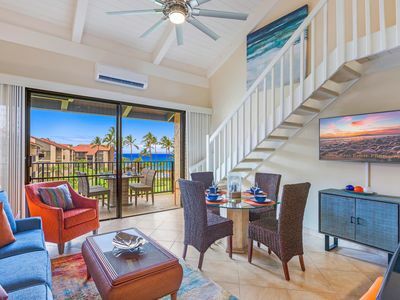 1Br/1.5Ba Townhouse style Kapalua Golf Villa! 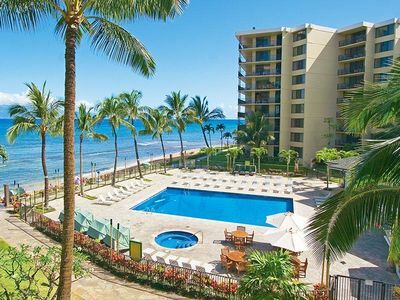 My Perfect Stays: Only $149 a Night! June 2-12 SPECIAL! 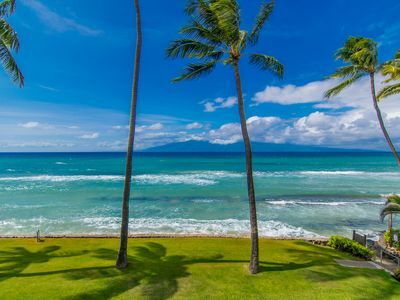 Beautiful Ocean Views! 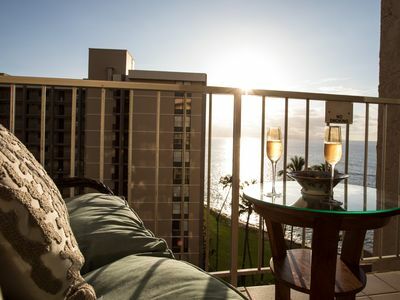 K B M Hawaii: Ocean Views, Massive Lanai 2 Bedroom, FREE car! Apr, Jun, Jul Specials From only $375!